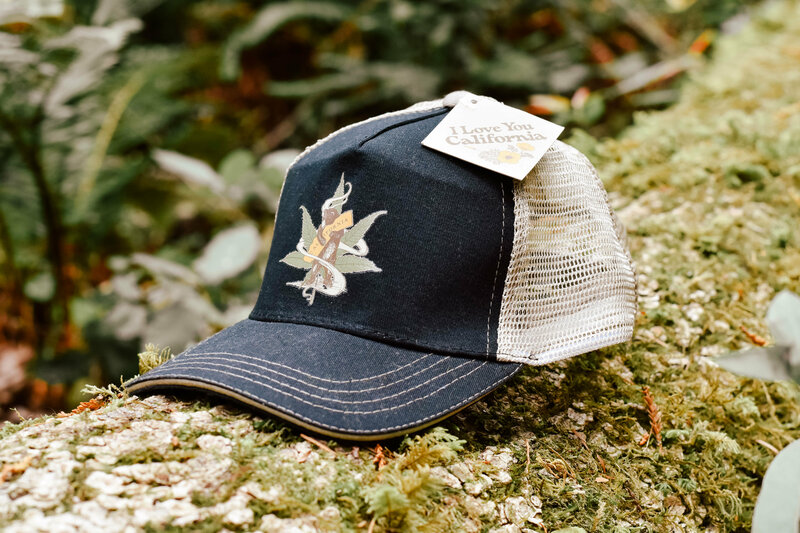 Embrace the California style with this black adjustable trucker hat. 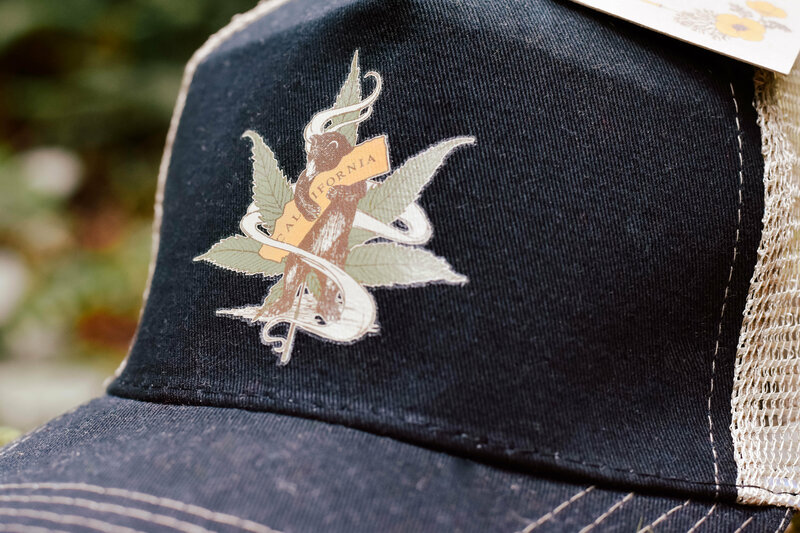 The front features a cannabis leaf surrounding our state animal hugging a California cutout. The colors are black and cream.